Material design provides the user a real experience with its clean and direct effect. 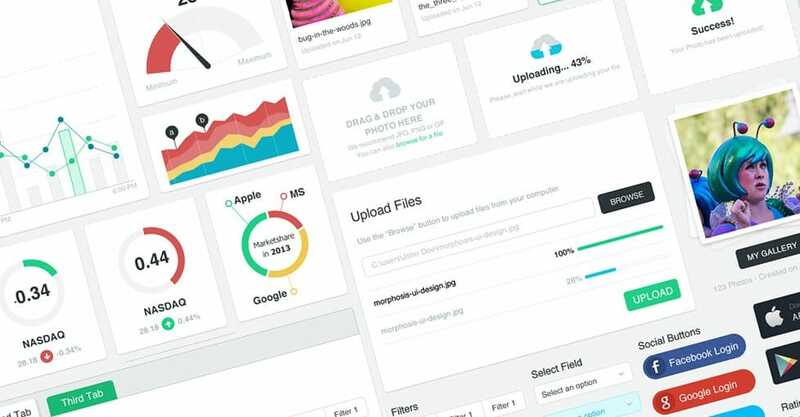 Here are 12 best free material design UI kits & Templates for Sketch and Photoshop. The material design has formed its distinctive design style since 2014. Created and released by Google, it becomes a full platform design language specification including Android Mobile、Android Tablet、Desktop Chrome, etc. Material Design can be seen across all of Google’s mobile apps including Gmail, Inbox, Calendar, YouTube and even the desktop sites. Material design provides the user a real experience with its clean and direct effect. Many UX/UI designers have followed this trend in their design work. I’d like to share 12 excellent material design UI kits, most of them are free, hope can bring you some inspiration. This post includes 4 free mobile App mockup tools, 12 best Mobile App mockup template for download(PSD) and 5 excellent and latest mobile App mockup design examples. Showing your mockup design to your clients and users is the best way to convey your ideas about your mobile app - both in terms of design and features. Having a good mobile app mockup tool can help you design efficiently and quickly. Mock plus offers a big collection of mobile app mockup templates and examples which you can gain design inspiration. So you can focus on working on what matters most, I have done the legwork for you and put together this list of 21 design resources for mobile app design. This post includes 4 free mobile app mockup tools, 12 of the best mobile app mockup templates for download (PSD), and 5 excellent mobile app mockup design examples.